This article is the second in our three-part series on blinding, deafening and sometimes deadly conditions in Indigenous Australian children that have little to no impact on their non-Indigenous counterparts. You can read yesterday’s piece on trachoma here. Tomorrow’s article will look at otitis media. For these young people, what we might consider a relatively harmless infection with streptococcus bacteria, in the throat or on the skin, can be the start of a tragic pathway towards life-threatening rheumatic heart disease (RHD). Yet this pathway is completely avoidable; indeed in mainstream Australia, it is usually avoided. 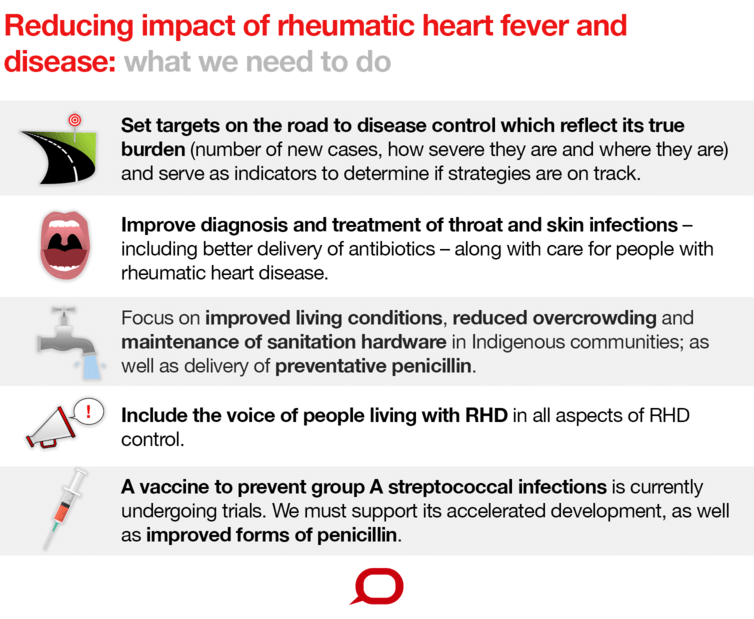 Today, most doctors in major Australian cities will not see a case of acute rheumatic fever, the precursor to RHD. Only around 50 years ago, though, children’s hospital wards were full of children with the two conditions. The reality is different for Indigenous people. 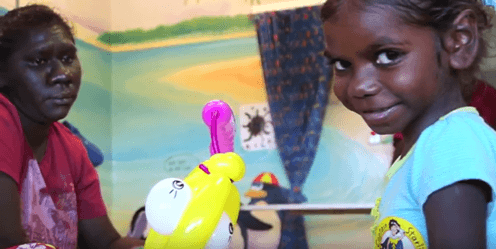 Young Indigenous Australians in the Northern Territory are up to 122 times more likely to have rheumatic heart disease than their non-Indigenous counterparts. Rheumatic heart disease is responsible for the highest gap in life expectancy between Indigenous and non-Indigenous Australians; higher than diabetes or kidney failure. So why is the condition still prevalent among Indigenous Australians? Infection by the Group A Streptococcus bacterium can manifest as either a strep throat or impetigo, commonly known as skin sores. When fighting a strep infection, around 3% to 6% of people develop an abnormal response which leads to the body’s immune system attacking its own tissues. This happens due to a combination of bacterial, genetic and environmental factors and results in acute rheumatic fever. Symptoms include sore joints, fevers and inflammation of heart valves – which is the most damaging. 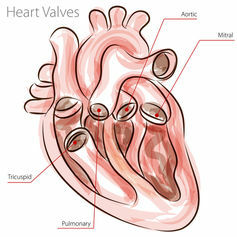 When acute rheumatic fever occurs repeatedly, often over many years, valve damage worsens and becomes permanent, resulting in rheumatic heart disease. 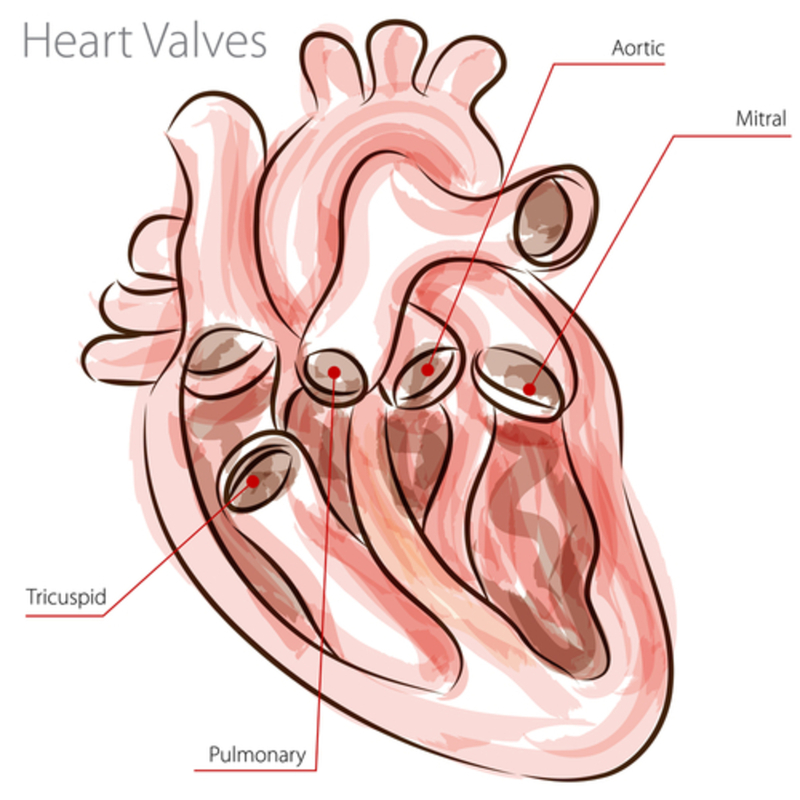 Heart valves are like doors in the heart that allow blood to move in one direction only. When they are damaged, the valves allow blood to leak in the wrong direction. This reduces the heart’s ability to pump blood effectively and ultimately leads to heart failure, stroke and sometimes early death. The pathway to rheumatic heart disease and its complications can be stopped at various points along the way. Acute rheumatic fever can be prevented if the original strep infection is accurately diagnosed and promptly treated with the antibiotic penicillin. But even if acute rheumatic fever occurs, it is not too late to intervene. After even just a single episode of acute rheumatic fever, young people need monthly injections of penicillin for at least a decade, often longer. This protects them from further strep infections, subsequent episodes of rheumatic fever and further damage to the heart valves. Although this strategy works, it requires painful injections that need to be given on time, every month, for at least a decade. In addition to these injections, people with rheumatic fever require long-term check-ups. If they have rheumatic heart disease, they require life-long clinical review, regular heart scans and long-term medication to treat heart failure or heart-rhythm abnormalities. If the heart-valve damage is severe, surgery may be needed to repair or even replace the valve. This can only be done in major hospitals, often thousands of kilometres away from where the person lives. Surgery can be life-saving, although it doesn’t cure rheumatic heart disease. Rheumatic heart disease was common until the 1960s in wealthy populations, including major Australian cities. 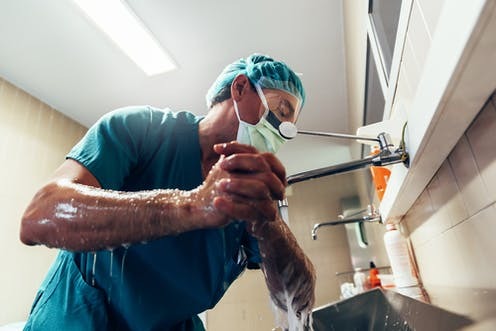 Since then, improved living standards in high-income countries have reduced the transmission of the bacterial infection. A combination of less crowded housing, improved sanitation and better access to health services also resulted in a dramatic decrease in the incidence of acute rheumatic fever and resultant heart disease. Penicillin has also had an added impact, both in preventing initial episodes of rheumatic fever by treating sore throat, and in preventing recurrences that enable slow disease progression. Over the last few decades, however, an uncontrolled epidemic of rheumatic heart disease has been uncovered in developing countries and our own Indigenous populations, especially those living in rural and remote areas of northern and central Australia. Today, rheumatic heart disease affects more than 32 million people worldwide and claims more than 275,000 lives each year. Almost all cases occur in low and middle-income countries, with the greatest burden being among some of the most disadvantaged populations. Particular hotspots include sub-Saharan Africa, parts of South Asia and the South Pacific. However, the highest rates of rheumatic heart disease are in Australia. The social, economic and human consequences of the disease are profound. Indigenous Western Australians with rheumatic heart disease die, on average, at 40 years old. Children must travel for heart surgery; young adults live with premature disability; and pregnant women face high-risk pregnancies. Rheumatic heart disease remains an outstanding, preventable blight for a nation committed to closing the life-expectancy gap. Australia has a national approach to acute rheumatic fever and rheumatic heart disease control. We must not only ensure this approach continues, but that it expands, with properly funded, evidence-based interventions. Jonathan Carapetis receives funding from National Health and Medical Research Council, Austrade, Novartis Institutes for BioMedical Research & Medtronic Foundation.